Be glad to debate you, but not here. You have my email. Some points are valid, some you are very off base on. I keep meaning to write you, Buck, and stupid real life keeps intervening. You want people to read your article and not go blind?. How about using a darker shade it’s only costing you ‘eyeballs’…. Don’t you know that I’m really an optometrist, and this is really all just a scam to get you to need glasses? If they take ISU out of the Pacific I won’the watch a lick of college sports ever. Nor will I go to bars playing college sports. I know the numbers you’ve just presented suggest it doesn’t matter, but that’s my position. I don’t blame you, Jim. Lol at autocorrect. Supposed to say P5, not Pacific. I wrote the new AD at Syracuse, Mark Coyle, how the previous University and Athletic Administrations cut their own throats by not solidifying their grip on the NE, and by selling out to regional conferences, such as the ACC and Big10. They should’ve become closer to the Ivy League to put a grip on the TV market from Boston to DC and from Philly through Morgantown and Huntington WV at the western edge of the Appalachians. The ACC would be left with No. VA to Miami. And the Big 10 would have had to hope that Penn State didn’t bolt for a new Lambert Trophy league of the northeast. Fairly solid article but relegation simply isn’t going to happen, Alumni will not accept it. Going from the ACC to the AAC is a bit of a stretch. Going from the SEC to anywhere is an impossibility. Vandy doesn’t always finish last in the SEC (and their fans wouldn’t stand for it, either) so can you imagine an Ol’ Miss, a Mississippi State or a South Carolina being relegated to the Sun Belt? No way. I agree that relegation’s a stretch, Jack, but I still wouldn’t be at all surprised if it happens. There are a lot of things that seemed impossible until they happened. As to the Sun Belt…I don’t expect it to survive. If Tennessee owns any of the Louisville market, its news to me. The Cardinals dominate the market with a little uk basketball mixed in. UT doesn’t move the needle here. That Virginia Tech vs. Michigan Sugar Bowl was a great game (and the Hokies were robbed of the win on the overruled TD catch). Not sure why not seeing it again is a benefit. Then again, I’ve never understood why anyone cares that the Rose Bowl featuring Big 10 vs. Pac 10 is somehow a better game. No it isn’t. You want good teams and match ups before tradition. Agree and disagree with you, Ottis. Of course you want great matchups, but if you’ve grown up in Big 10 or Pac-However Many country, you know that (1) a Rose Bowl between those two conferences is pretty much always a great game, and (2) there is absolutely something special about those two conferences always playing each other on New Year’s Day, and it matters a ton. Don’t see basketball taking a backseat to this plan (btw how Kansas trumps KSU from a FOOTBALL perspective is beyond me). I’m going to say some totally contradictory things, Brian: Kansas obviously doesn’t trump K-State as a football program. Why does basketball take a back seat to football? Money. Yet, KU’s basketball program is so overwhelmingly more important that KSU’s that, at some point, the combination of the two sports should give it higher priority than K-State even where football is concerned (particularly since KSU’s football success is, by and large, the product of one man who won’t be coaching a whole lot longer). All that said, these are best guesses. There are so many moving parts here that there are a ton of variations on the way things can play out and there are exactly zero human beings who know exactly how they will in fact play out. Bc of the money FB brings in every year compared to BB. One BB ticket let say $10 bucks, and one FB depending who is matched up with, $20 to $35 bucks. Then add up the seating for BB compared to FB. Wow what a big difference the money train is between the Both. Football RULES!!! I do agree with the consolidation of conferences, in the interim, and a move to expanded playoffs. However, this is an interim position. I can’t see relegation ever happening. 1) While he mentions that Disney is losing revenue due to cable cutting, which threatens to tear the whole system apart, he concludes that this consolidation will stop the blood letting. It won’t. it will just put a bandage on it for a few years. 2) While TV contracts will continue to decline due to cable cutting, it will become apparent to the conferences and schools that they do not need a third party for production and distribution. In fact, they will see that they can make more money without the haircut from the middleman by producing and distributing on their own. Hello Netflix! It’s only a matter of time before the mass of people on IPTV is greater than that on cable systems. At that point over the top distributors (Hulu, Netflix, etc.) will become the de facto hosts for college football content distribution with less overhead. Production technology is evolving to enable small scale but very professional production as well. This will really blow up the IPTV market when just about anyone can make professional content. Think of IPTV doing to video what .mp3s and the iPod did to music. 3) There is a significant divergence in beliefs about the role of college football on the college campus. With wack job liberals dominating the administrative roles on lots of campuses, the greater enforcement of academic rules would be wildly welcomed, even by alumni (think UVA, Vandy, Stanford, Notre Dame, Georgia Tech, Duke, etc.). If these schools had the ability to create their own league with stricter academic enforcement without a significant drop in revenue, they’d jump at it. But the reality is #2 will force a downgrade in revenues to many schools anyway, as winners cut loose from conferences and leave losers (Wake?!) in the dust on their own, at which point they will jump to an ‘academic’ conference anyway, just to survive. More on that point in a bit. 4) Expanded conferences actually raise travel costs significantly while TV revenue is falling, further compressing already stressed AD budgets. Not a whole lot of ADs are profitable now, only the ones with excessively large football fan bases really. 5) Pay for play will dramatically increase costs and further drive apart the ‘cheaters’ and the ‘academics’. 1) Revenues from TV packages not only continue to fall… but those packages will disappear altogether. 2) Expanded conferences will drive up costs putting more AD programs in the red. 4) The gap between the ‘cheat to wins’ and the ‘academic’ schools will continue to widen. 1) Existing conferences will split into ‘semi-pro’ and ‘academic’. ‘semi-pro’ will adopt pay for play, continue scholarships and lighten up the admittance and eligibility criteria tremendously. In fact, I highly doubt that players continue to even be students at these schools anymore…. unless ‘football’ becomes a major, which is entirely possible (see: Texas). 2) ‘Academics’ will not adopt pay for play and will disband scholarships. Teams caught cheating will simply be banned from participation and will have the opportunity to then join the ‘semi-pros’ if they will have them. Scholarships will have to be disbanded in order to avoid pay for play. No scholly? Not an employee, not covered under the court ruling. 3) Schools will band together to form their own rule systems and efficiencies in production, officiating, etc. But each school will likely own their own rights on a per game basis with per event distribution agreements with the over the top players. This will be GREAT for fans who will have 100% coverage of every game in every sport without paying $30/month extra just for ESPN (who now covers at best half the football and basketball games and precious few of the olympic sports). 4) Additional revenue will be gained by the schools through targeted over the top advertising AND customer marketing data collection. DO NOT underestimate the value of the latter. The schools will become rich by not letting third parties like ESPN, Fox Sports, etc. own this data. Just my opinion. While I’m not involved in the football media market. I am involved in the service provider market in a strategic role and you can see the footprints leading in this direction already… not just for college sports. If you own the customer data, you will own the content… even if you don’t own the content. My 2 cents. A lot of exceptionally good thoughts here, particularly with regard to two themes. I really appreciate how much time and thought you put into your response. With regard to data, you’re absolutely right, and I hadn’t even thought about that, which was a pretty big oversight on my part. However, once again, you run into the same problem with bureaucratic institutions, which is what every university on the planet is, not being geared up to take advantage of that, though again, maybe with the right hires made on the conference level, that could change. One other problem: universities have plenty of academics who think they understand how to use big data. It’s a mortal lock that those academics will find ways to f things up in many places. UConn is i the nation’s #30 market. It owns the state of Connecticut which has 3.5 million people. And it is widely followed in both New York City, the #1 market and Boston. the #7 market. Athletically it has multiple national championships in multiple sports. In football, it has been to a BCS Bowl game and won two Big East Championships. Academically, it is the the #17 public university in the country, that’s better than half the B10. The P5 conferences are crazy no to jump all over it. If that’s true about UConn, then why have none of the major conferences (ACC & Big Ten) reached out to them? UConn got play in NYC because of it’s association with other Northeast schools. Now that most of those same schools are in other major conferences UConn doesn’t get the same level of press in NYC. Hartford is another market all to its own. Philly is close to NYC than UConn, but you don’t see Philly schools in the NYC market. You can’t force yourself into a market which you are not really a part of. Also, if UConn is such a stud academically why aren’t they an AAU schools like most of the Big Ten? That’s a better indicator of academic success than some US News report based on non academic factors. Not that it matters much, but I have never seen UCONN ranked as high as 17 academically. For what it’s worth, US News ranks it tied for 57. Your statement that Yukon is widely followed in the New York and Boston tv markets is patently false. While some of these ideas are good ones, particularly the moving up/down between divisions, I really don’t believe that traditionalists and academics will allow the Big Ten and Pac 12 to change. There is a lot of academic connection that remains important to school presidents and traditional links between Oregon State-Oregon and WSU-Washington. Why would Eugene earn a membership … it’s not a huge market. Both Oregon schools are tied to Portland … why not Portland State if you’re selling out to TV? Just my opinion … there are good ideas in this but overlooking some of the traditional reasons for conferences like academics and research programs seems narrow sighted. Your dream of destroying the Sun Belt programs is a bit far fetched. First, Sun Belt schools don’t live off of TV money. Secondly, the bigs aren’t going to distinguish between CUSA, the MAC, or Sun Belt institutions. If the P5 splits off, they’re going to split off entirely from the G5. And they’ll have to leave the NCAA to do that. Any new criterion that could be used to force Sun Belt schools to downgrade would have to apply to other schools, and that would hit multiple CUSA and MAC schools. Want to make it based upon stadium size? Bye bye half of CUSA. How about real attendance? Bye bye half of the MAC. How about budget? Hard to do because budget numbers are open to debate (such as a private school having a ‘huge’ athletic budget due to high tuition and counting the scholarship as part of the budget, for example). BTW, your lack of knowledge regarding the Sun Belt can pretty much be summed up with your description of the Sun Belt’s bowl prospects as far flung. The Sun Belt has four tie ins. All of them are within the Sun Belt footprint and consequently are healthy, well attended games (Mobile, New Orleans, Orlando, and Montgomery). CUSA/MAC are the conferences that send their teams to Boise, Honolulu, and Nassau? Have you seen the number of recent FCS or reconstituted programs in CUSA? Why don’t you go ask the ACC how they’d like being treated as an equal with the AAC? And then ask the Big 10 how they’d like to be paired with anyone other than the Pac 12. Relegation from the SEC to CUSA? The SEC is never going to allow MTSU to join their conference. UTK would quit playing football first. UAB into the SEC where they’d get a home game with Alabama? Big Ten says, sorry Illinois but Eastern Michigan will be taking your place next year? Tulsa to the ACC for a year? Are you kidding me? Oh, and what about probation impacts on the bigs? Conferences will shift, but they will shift based upon the needs of the alpha teams in their conferences. Alabama doesn’t want to treat UAB as an equal. Texas doesn’t want to treat UNT as an equal. Ohio State treating Bowling Green as an equal? Penn State upsetting their perfect little apple cart they’ve forced the Big Ten to swallow around them? Who is going to vote for such a plan? The four G5s certainly will. The Sun Belt won’t. And they’ll have every single P4 (assuming the Big XII goes away) voting with the Belt in the unlikely scenario that such a question is even posed. 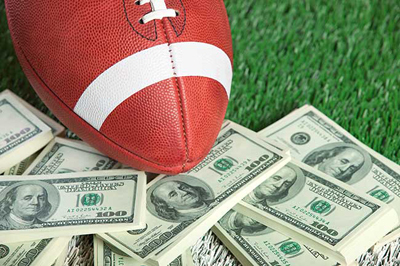 Finally, the amount of money that big college football will be sharing on a go forward basis is likely to be reduced, not increased as people move from cable packages to an a la carte system. This will help about 10 schools in college football and hurt the rest. Big bonus for the Sun Belt…we never had much TV money anyway, so it reduces the amount of differential between our teams and many others. Big losers…G5 programs (and a few P5 programs too) with big markets but few fans. In my opinion, you make your biggest mistake by assuming that the cable providers hold all the cards. They hold a lot of them, but the big difference is that the alpha programs (Top 10-15 programs in college football) can largely veto the demands of the TV producers. ESPN is not going to risk losing the SEC over some crazy deal that will help Florida International. ESPN can offer all the money they want (actually they can’t),but the SEC and Big 10 will say “thanks, but no thanks to that”. As you said in your article, ‘sorry to pick on you’, but your analysis appears to be completely clueless as to any facts around the Sun Belt conference, and is delusional as to the motivations of the P5 conferences and alpha teams in those conferences. Where we are going is a 8 or 16 team playoff where 1 or 2 slots will be given to G5 teams. Five autobids, 1 or 2 pooled G5 slots and the rest will be at large bids. Oh, and less overall TV money for all but a handful of the top programs as ‘must carry’ cable deals go away. Total P-5 Type Teams…Everybody else (50+ Teams), stays at the G-5 Level with their own Bowls and Playoff System! Clemson, Duke, Florida State, Georgia Tech, Maryland, Miami, North Carolina, N.C. State, Virginia and Wake Forest. Army, Boston College, Connecticut, Navy, Notre Dame, Penn State, Pitt, Rutgers, Syracuse and Temple. Illinoise, Indiana, Iowa, Michigan, Michigan State, Minnesota, Northwestern, Ohio State, Purdue and Wisconsin. Central Florida, Cincinnati, Houston, Louisville, Memphis, South Carolina, South Florida, Southern Miss., Virginia Tech and West Virginia. Arkansas, Colorado, Kansas, Kansas State, Missouri, Nebraska, Oklahoma, Oklahoma State, Texas and Texas A&M. Air Force, Baylor, Boise State, BYU, Colarado State, Fresno State, San Diego State, TCU, Texas Tech and Utah. Arizona, Arizona State, Cal, Oregon, Oregon State, Stanford, UCLA, USC, Washington and Washington State. Alabama, Auburn, Florida, Georgia, Kentucky, LSU, Mississippi, Mississippi State, Tennessee and Vanderbilt. The Eight Conference Champs play for the National Championship using the Bowls. Cotton Bowl Winner vs. Rose Bowl Winner in the Fiesta Bowl. Orange Bowl Winner vs. Sugar Bowl Winner in the Peach Bowl. Fiesta Bowl Winner vs. Peach Bowl Winner at Jerry’s World for the title! Very interesting article and some very good comments as well. Steve, I like your plan of 8 10 team conferences but it makes too much sense and will never happen! Thanks…I took a SIMPLE approach to fix it…The SAD part about it is that it makes TOO MUCH SENSE!!! Not only does it make to much sense, but also it would involved existing conferences to share in the short term to further the entire group in the future. Good luck with that. Not going to happen. The SEC won’t break itself up. The Aggies will never again associate with the great plains schools, being more SEC in culture than Big-8. The Big12 was an arranged marriage that was doomed from the start. Fresno State & San Diego State to the Big XII. This puts them in the California recruiting hotbed in both SoCal and CenCal/NorCal. Plus they get 2 Top 60 TV markets. Lastly, they get 2 men’s basketball challengers (SDSU’s tradition and FSU’s recent rise and past history). Big XII has baseball, which would help continue high caliber programs by adding a Fresno State team that has won an NCAA title. If we’re adding women’s big sports, Fresno State WBB has consistently gone to the NCAA’s and WNIT year in and year out and the softball team has won an NCAA title and is a perennial powerhouse with 31 consecutive post-season play. Makes a lot of sense to add 2 universities with national university rankings and large following in athletics. They could possibly rival the Pac-12 when it comes to recruiting if they were given a chance to get invited to the Big XII. Your argument makes sense…if the Big 12 survives. I don’t expect it to, but that’s all the more reason that a Californiaward expansion would be a smart move for the conference. California is not a desirable destination for football crazed southern or eastern schools as their are so many other diversions not to even mention the time zone problem for the NE and SE/MIDWESTERN Schools exposure…by the time those schools come on were sleeping or partying after a full day of FB…. Anybody saying UT has a significant part of the Lexington and Louisville markets loses all credibility. Poppycock!